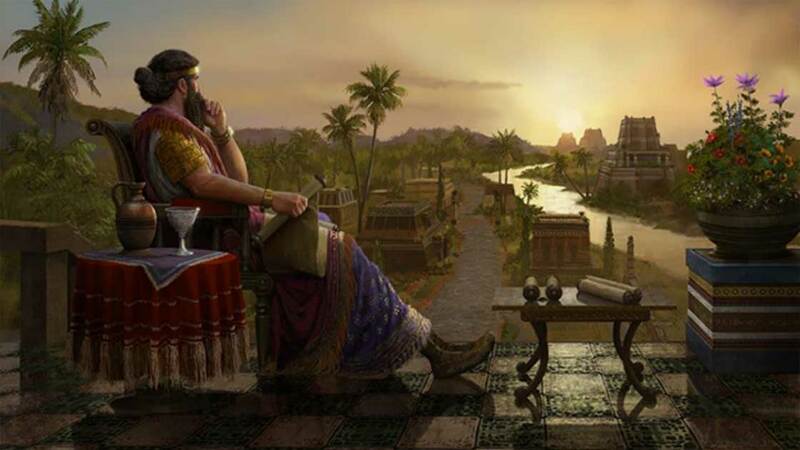 In 2334 BC, King Sargon of Akkad founded one of the world’s greatest empires. From humble roots, he created a Golden Age in Mesopotamia. Heroic epics tell tales of a strong leader. Sargon the Great conquered the lands across southern Mesopotamia, Syria, Anatolia, and Elam (western Iran), then he used innovative tactics to keep his empire running smoothly. Baskets and an Infant’s River Journey – Who Was Sargon of Akkad? The name Sargon is said to have been a Biblical translation of the Akkadian name ‘Sarru-kinu’, which may be translated into English as ‘The True King’. Sargon is reckoned to have reigned from 2334 to 2279 BC. Little is known about Sargon’s real life and much of his story is pieced together from legends; his infancy story, for example, resembles that of the Biblical Moses , in that both of them were placed in reed baskets and left to float down a river. Whilst baby Moses floated down the Nile , Sargon floated down the Euphrates . Sargon’s biological father remains a mystery, and his mother is said to have been a temple priestess, or perhaps a sacred prostitute of Ishtar. In any case, the future founder of the Akkadian Empire was discovered by a gardener in the service of Ur-Zababa, the king of Kish. “Sargon, the mighty king, king of Agade, am I. My mother was a changeling*, my father I knew not. My changeling* mother conceived me, in secret she bore me. She cast me into the river which rose not (over) me. The river bore me up and carried me to Akki, the drawer of water. Akki, the drawer of water lifted me out as he dipped his e[w]er. Akki, the drawer of water, [took me] as his son (and) reared me. Akki, the drawer of water, appointed me as his gardener. 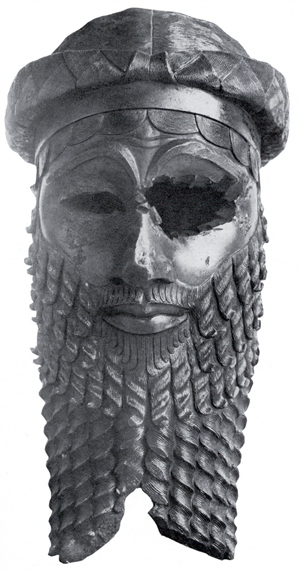 Sargon eventually became the cup-bearer of Ur-Zababa. For unknown reasons, the king felt threatened by Sargon and tried to get rid of him. Ur-Zababa thought he had found a good way to do so when Lugal-zage-si, the Sumerian king of Umma, came to conquer Kish. Ur-Zababa sent Sargon to deliver a clay tablet to the king, supposedly with a message requesting peace. Unbeknownst to him, however, that tablet really contained a message requesting Lugal-zage-si to kill Sargon. The conspiracy was foiled, though it is unclear how, and Lugal-zage-si instead requested Sargon to join his military campaign against the city. Together, they conquered Kish and Ur-Zababa was deposed. But it wasn’t long until Sargon and Lugal-zage-si became enemies. Some versions of the story even say Sargon had an affair with Lugal-zage-si’s wife. Sargon captured Uruk from Lugal-zage-si and then defeated him in battle at Kish. To add insult to injury, he tied a rope around his foe’s neck and then took him to Nippur. There, he forced Lugal-zage-si to humiliate himself and show the weakness of his patron god, Enlil, by marching through Enlil’s gate. Sargon’s own patron deity was Ishtar. So this act also proclaimed the power of his preferred goddess. A large part of Sumer (southern Mesopotamia) was under the control of Uruk, and the defeat of Lugal-zage-si meant that Sargon was now the new ruler of the area from which he could launch military campaigns and expand his empire. But battles weren’t the only thing on Sargon’s mind and he also sought to maintain the lands under his control. To accomplish this, one of the things Sargon did was establish an efficient bureaucracy. This was achieved by placing men he trusted in each Sumerian city to rule in his name. In the meantime, Sargon continued expanding his empire. In the East, Sargon went to war and defeated the Elamites, who inhabited what is today the western and southwestern part of Iran. In the West, Sargon conquered parts of Syria and Anatolia as well. It is from a text known as the Epic of the King of the Battle that we hear of Sargon’s campaign in Anatolia, which was carried out following a request by his merchants there to protect them from the king of Purshahanda (a site yet to be identified). The text also states that Sargon crossed the Mediterranean and ended up in Cyprus. One of the consequences of Sargon’s conquests was the facilitation of trade. Sargon controlled the cedar forests of Lebanon and the silver mines of Anatolia, which provided him with valuable raw material. These were used for trade in the Indus Valley Civilization , as well as civilizations in Oman and along the Gulf. This, however, was not Sargon’s only legacy. The king is also remembered as the one who established a society where the weak were protected. Stories say that during his reign no one in Sumer had to beg for food and widows and orphans were protected. But rebellions were also a common feature during the king’s reign, and as he said himself, his enemies faced a “lion with teeth and claws.” Sargon the Great wasn’t necessarily a hero from humble beginnings who gained power to save his people, though his empire was considered a Golden Age for the people compared to what came after it. Sargon is said to have died of natural causes and was succeeded by his son, Rimush. The empire that he founded lasted for about a century and a half, but came to an end when it was displaced by the Gutian dynasty of Sumer during the 22nd century BC. Interesting that the storyline of a future hero/king being sent to deliver a message containing instructions to have the deliverer killed also occurs in Greek and Norse (Icelandic?) mythologies. Encrypted cosmic information, perhaps?